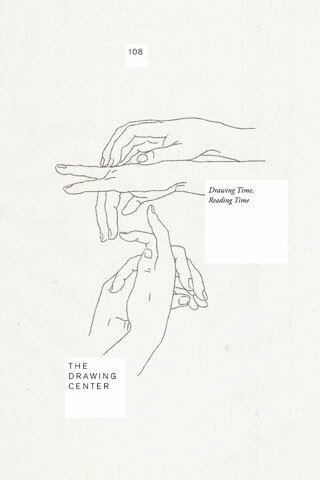 2018 Holiday Gift Guide and Bookstore Sale | The Bottom Line "The Drawing Center"
The Drawing Center bookstore is happy to offer a 20% discount on all of our Drawing Papers catalogs and limited edition prints. Please note that this sale is *in-store only* and cannot be applied to online purchases. The Drawing Papers catalogue series began in 1991 to provide cutting-edge context for contemporary and historical drawings. 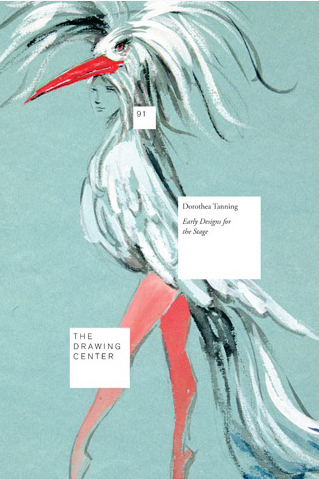 Accompanying each of The Drawing Center’s major exhibitions, the Drawing Papers series serves as a scholarly forum to explore the medium of drawing through multi-disciplinary subjects relevant to contemporary culture and the future of art. With most catalogues priced at $20 or under, the series is an accessible resource for all of our visitors. To help search through the 139 published volumes, we’ve put together a guide featuring the interdisciplinary nature of our catalogs and exhibitions. Also included is a list of staff picks and our top sellers. Happy gift searching! The 2014 exhibition Christ You Know it Ain’t Easy!! was Deborah Grant’s first solo show in a New York museum and the largest installment of her ongoing series Random Select, in which she interweaves historical accounts and personal experiences with references to contemporary political and social issues. Grant culls material from a variety of sources including magazine photographs, comic books, published texts, and art historical reference books which she masterfully translates and brings together via her signature drawing method to create highly personal, non-linear narratives that investigate politics, race, and cultural identity. The catalogue features an introduction by Claire Gilman and an essay by Theresa Leininger-Miller. 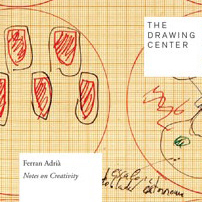 The 2014 exhibition Ferran Adrià: Notes on Creativity was the first major museum exhibition to focus on the visualization and drawing practices of master chef Ferran Adrià. Hundreds of notebooks were filled with concepts, ideas, collaged photographs, and loose sketches for new dishes for elBulli, Adrià’s famed restaurant in Catalonia. The catalogue features a conversation between Brett Littman and Ferran Adrià and an essay by Richard Hamilton. The 2008 exhibition Greta Magnusson Grossman: Furniture and Lighting was the first major U.S. exhibition to focus on the drawings of this Swedish-born, Los Angeles-based architect and industrial designer who was an influential figure in the Southern California design movement of the 1950s and 60s. The catalogue features recently discovered and never-before-seen industrial design drawings and renderings for residencies, furniture, and lighting. The catalogue features an introduction by Evan Snyderman and an essay by Brett Littman. Exploratory Works: Drawings from the Department of Tropical Research Field Expeditions features an archive of images from the Department of Tropical Research that illustrate the formation of our modern definition of nature. Led by William Beebe, the Department of Tropical Research (DTR) was a pioneering lab that hired women lead scientists and field artists. Among the hired artists was Isabel Cooper, one of America’s greatest popularizers of ecological thinking and biological science. The catalogue features an Introduction and Timeline by Mark Dion, Katherine McLeod, and Madeleine Thompson, an Interview with Richard Drayton by Katherine McLeod, and original field texts by William Beebe, Else Bostelmann, Isabel Cooper, Gloria Hollister, and George Alan Swanson. Dorothea Tanning: Early Designs for the Stage presented approximately twenty hand-drawn ballet costume designs by Dorothea Tanning created in collaboration with the early modernist choreographer George Balanchine. Taking the form of traditional fashion plates, the blithely rendered drawings are suggestive of bodies in motion. Each portrayals of outlandish characters through the quirky detailing and sensual drapery of the costumes. 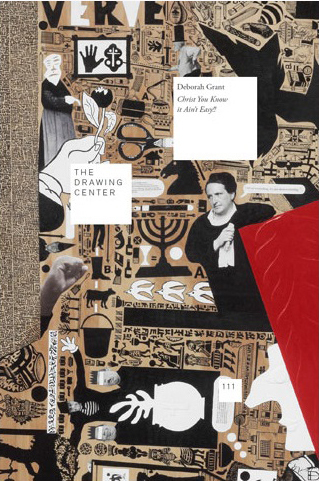 The catalogue features an introduction by curators Joanna Kleinberg and Rachel Liebowitz and an essay by Robert Greskovic. The 2011 group exhibition Drawn from Photography focused on a growing trend in drawing: the meticulous translation of images from photographs and photo-based media. The exhibition concentrated on instances of social and political transformation from the last two centuries, with the thirteen artists turning to source material that ranged from snapshots taken by the artists to photos from news media. The catalogue features artist Serkan Özkaya’s hand-drawn rendering of an essay by curator Claire Gilman, as well as a new story by Lynne Tillman and work by exhibiting artists D-L Alvarez, Andrea Bowers, Fernando Bryce, Sam Durant, Ewan Gibbs, Karl Haendel, Richard Forster, Emily Prince, Frank Selby, Paul Sietsema, Mary Temple, and Christian Tomaszewski. The 2013 exhibition Dickinson/Walser: Pencil Sketches brought together Emily Dickinson’s original poem manuscripts and Robert Walser’s microscripts for the first time in an art museum setting. Both writers were attentive to the visuality of their texts written on fragments and scraps of paper. The catalogue features a forward by curator Claire Gilman and an essay by Josiah McElheny. The 2000 exhibition Untitled Passages by Henri Michaux investigated Michaux’s graphic works in tandem with his poetic practice, addressing the artist-poet’s research into the passages between “writing” and “drawing.” The catalogue features writing by Henri Michaux alongside essays by John Ashbury, Raymond Bellour, Laurent Jenny, Florian Rodari and Richard Sieburth. Edited by Catherine de Zegher. The 2016 exhibition Rehearsal by Cecily Brown was the first solo museum exhibition dedicated to the artist’s drawings. Where Brown’s canvases revel in the visceral immediacy of paint, her drawings offer fragmentary motifs that build upon and undo each other. Their logic productively relates to the concept of ‘rehearsal’—a term derived from the Old French rehercier that originally meant to go over something again with the aim of more fully understanding it. 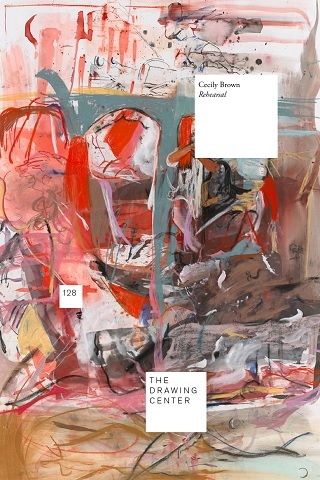 The catalogue features essays by Claire Gilman and David Salle. Stylistically evocative of mid-century abstraction, Eddie Martinez’s drawings bring their own complexity, plugging a rotating cast of characters into raw, vigorously-drawn landscapes: cartoon ducks, oversized eyes, coiled snakes, and anthropomorphic blocks of color are among his itinerant motifs. The catalogue features an essay by Claire Gilman and an interview by Katherine Bernhardt. Terry Winters: Facts and Fictions features cycles of drawings and large-scale works on paper by Terry Winters, a leading figure of the art world for decades. Representing the patterns and schema that undergird physical and intellectual life, Winters’s drawings of grids, networks, and knots illustrate complex encounters between biological drives, technological systems, and mental processes. The catalogue features contributions by Claire Gilman, Peter Cole, and Rachel Kushner. Another City for Another Life focuses on Constant Anton Nieuwenhuys’ tremendous contribution to visionary architecture through the practice of drawing and offers an in-depth consideration of the artist’s futuristic project. The catalog features contributions by Catherine de Zegher, Mark Wigley, and an attachment with five texts by Constant Nieuwenhuys. 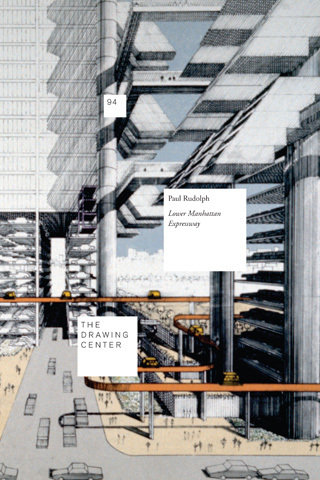 Paul Rudolph: Lower Manhattan Expressway features unseen drawings, prints, and photographs of Rudolph’s visionary proposal for an expressway that would run across Lower Manhattan connecting the Holland Tunnel to the west side of Manhattan with the Williamsburg and Manhattan Bridges: The Lower Manhattan Expressway (LME) was never seen to fruition. The catalogue includes an illustrated appendix of the reconstructed LOMEX model (2010), an essay by Steven Kilian, Ed Rawlings, and Jim Walrod, and facsimile pages from the film script about the project. 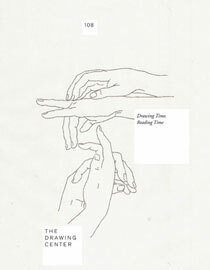 Drawing Time, Reading Time features an international group of artists spanning the 1960s to today, all of whom are engaged in exploring the relationship between drawing and writing as distinct yet interrelated gestures. Contributing artists include Carl Andre Pavel Büchler, Guy de Cointet, Mirtha Dermisache, Sean Landers, Allen Ruppersberg, Nina Papaconstantinou, Deb Sokolow, and Molly Springfield, who embraced language in art as a means of questioning the written word’s communicative transparency on the one hand and visual art’s material opacity on the other. The catalogue features essays by Claire Gilman and Melissa Grunlund. Dickinson/Walser: Pencil Sketches brought together Emily Dickinson’s original poem manuscripts and Robert Walser’s microscripts for the first time in an art museum setting. Both writers were obsessively private as well as peculiarly attentive to the visuality of their texts. They meditated on how the form of text affects the language itself, each crafting their words in response to the form at hand. The catalogue features a forward by curator Claire Gilman and an essay by Josiah McElheny. Analog Animation: Selections Spring 2006 features work by 18 artists who animate their drawings largely with “old-fashioned,” hand-drawn animation techniques rather than digital media. Using such disparate media as collage, imprints, silhouettes, light gels, and sliding window shades, these artists created series of moving and transforming images that foreground the artist’s hand and the act of drawing, rather than employ digital manipulation. The catalogue includes an introduction by Luis Camnitzer and Katherine Carl, and a DVD of animated works. 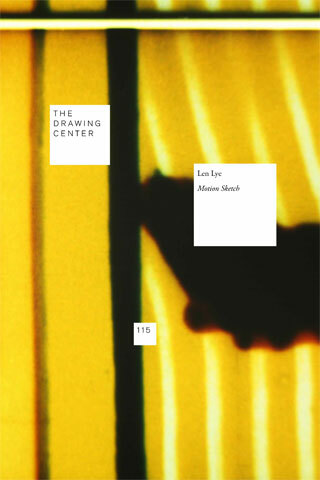 Len Lye: Motion Sketch highlights the role of drawing in the artistic practice of Len Lye—a leading member of the vanguard of experimental film. Fascinated by movement, Lye’s work, which included drawing, sculpture, and film, used kinetic energy as its main subject. The catalogue features a forward by Brett Littman and essays by Gregory Burke, Tyler Cahn, and Len Lye.